Sponsorship opportunities are listed below. Please complete the form at the bottom to sign up for the event. 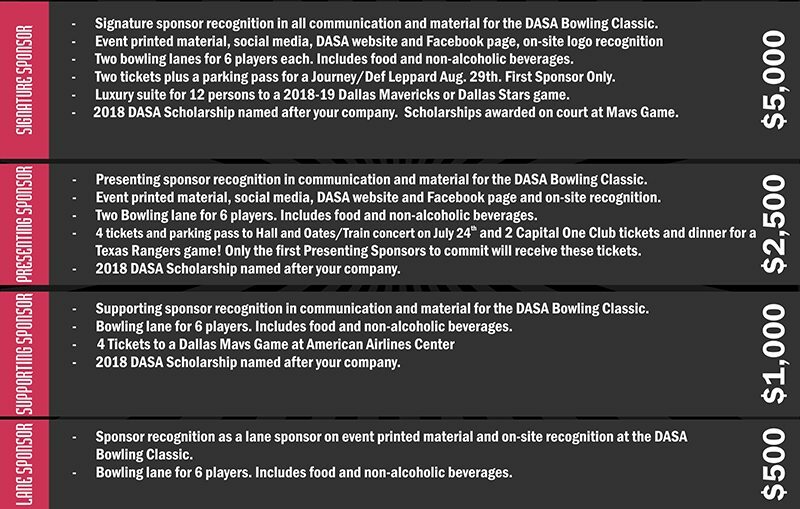 Please complete the information below to sign up and register as a sponsor or a team for the DASA Bowling Classic.